Allergic rhinitis is the name given to inflammation as an allergic cause of covering the inside of the nose. It is more common in allergic subjects. It usually lasts for life but may decrease in severity at older ages. The most common cause is the wind-borne pollen, but it can also be triggered by any other allergen. The chance of spontaneous passing is very low. However, avoiding the disease-causing media or allergies provides significant benefits. The disease is highly prevalent and there are allergic rhinitis in about 20% of our population according to scientific studies. 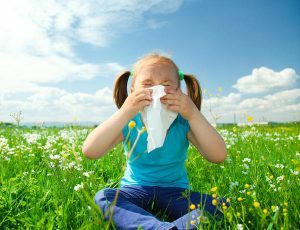 Allergic rhinitis is a seasonal allergic rhinitis, which occurs during certain seasons (for example, in spring when pollen is intense). Seasonal allergic rhinitis is known as hay baldness. 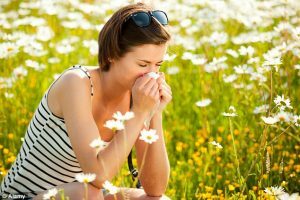 Allergic rhinitis has one other type all year round and is called perenial rhinitis. The causes of perennial rhinitis differ from those of seasonal allergic rhinitis, mainly due to house dust mites, animal feathers, bathrobes and various chemicals found throughout the year. Allergic rhinitis usually occurs in people with atopic allergies (atopic). These people are more common in other allergic diseases such as eczema, urticaria, and asthma. People with allergic disease have a higher incidence of allergic rhinitis. The disease usually occurs before the age of 40 years and the complaints diminish with age. If the symptoms have increased over recent years, if they continue all year round, if the allergy medication is no longer complaints, or if the allergy medication causes side effects, you should go to the doctor. Diagnosis of allergic rhinitis; The symptoms seen in the patient for the diagnosis of allergic rhinitis are examined in detail. During the inquiry, the questionnaire is questioned about the season, the frequency and where it is. Atopy, the presence of the disease in family members is carefully examined. After the history is passed to the examination. First ENT then systemic examination is performed. The examination examines the patient’s nasal mucosa and other areas of the body. There are many adjunctive diagnostic tests such as diagnostic IgA test in the diagnosis. Allergy skin tests done on the floor are the most commonly used methods. 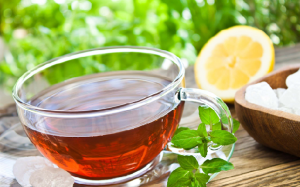 How is allergic rhinitis treatment? Allergic rhinitis treatment does not completely remove the disease, it is aimed at eliminating complaints. In the first treatment of allergic rhinitis, medicines called “antihistamines” are used to prevent secretion of substances causing allergies. These drugs are very useful. They are especially effective in eliminating complaints such as sneezing, itching and discharge. Another commonly used option is nasal spray with “steroid”. The treatment of the disease should also include environmental and allergy control. Mast cell stabilizers, cromoglycate, leukotriene antagonists can be used in patients who are suitable for other drugs. Combination therapy (antihistamine, nasal spray, etc.) has quite beneficial effects on nasal obstruction.